I quipped, with a lack of anything of real significance to say, after having seen Beautiful Wave that it was “neither beautiful nor a wave” in my best Linda Richman voice. However, the Mike Myers character-inspired jab may have been the most succinct way to put it. This is a film which seems like an excuse for a surfing film. I haven’t seen every surfing film, but I honestly can’t remember it being almost incidental to the story, as it is here. Sadly, the protagonist is also rather incidental. Very little of her conflict is externalized and ultimately the film feels like it’s about everyone around her rather than her. I’d critique the pace if there was any discernible pace to criticize. The film telegraphs its climax and denouement very early on making much of the film transient. As you can tell the issues are mainly structural but there are a few decent to good scenes along the way. I can’t fault the performances of the three main players Aimee Teegarden, Patricia Richardson and Lance Henriksen. It’s just so inconsequential. Why she’s jettisoned to California just occurs as this forced inciting incident, which really has no impetus aside from the narrative necessity placed upon it by the makers. Somewhere in its running time there’s a perfectly innocuous, enjoyable albeit nebulous short film, but it really ought not be a feature. This is essentially Soul Surfer almost entirely devoid of pathos. Here’s another one of those movies you just happen upon and then you look into it and you realize that the idea is so outlandish, and could end up being either brilliant or a disaster, and based on its premise that you absolutely have to see it. Perhaps what’s most unfortunate about the film is that both in its title and in its synopsis it divulges what is truly revealed in the third act, however, intimations to the fact in question are made well before the revelation. Perhaps the most surprising thing about this film is despite a rather flat, blank performance by its lead actress and clearly video cinematography is that it has a strong first act. It mixes in some themes that I don’t necessarily expect to see touched upon at all and rather well. Then there’s a time jump, now this is where the excessive amount of restraint comes into the mix, where the plot really begins plodding. There’s some sort of plague about, the world is a really crazed place. However, vague allusions as to why are all that’s ever made. Similarly, visual motifs come into play that are also unclear, but the real issue is that the near cessation of incident. Unlike some who have seen it, I have no issue with the fact that this film handles what is potentially such a polemic, sacrilegious premise with utmost seriousness of tone. The issue seems to stem from, at least in part, a bit of reticence to fully commit and it’s a shame. The music, the lack of dialogue and the edit set the stage but there’s virtually no show upon it. I would see another work by Vaughan but what is most aggravating here is that it seems there was the courage and commitment to take a potentially ludicrous idea, treat it seriously and make it a film. However, the follow-through to make the film as shocking and effective as it could be doesn’t seem to be there. The film does become somewhat memorable for the previously alluded to fact but that’s rather dubious. 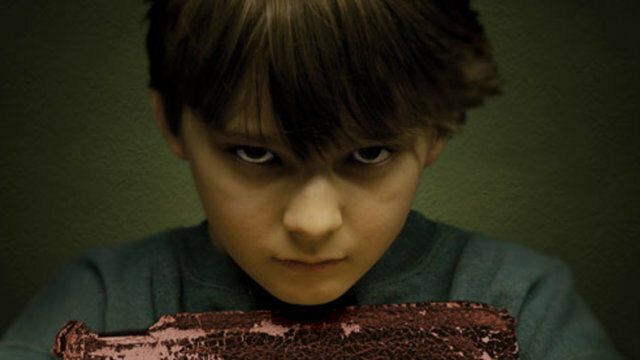 This is a film that has a formula shared by quite a few films in the horror genre: A town with a scarred past that comes back to haunt it anew. However, what this film attempts to is to double said formula. There is the now local-legend of a mass murder in a house but that fuses with a completely fictitious legend about the birth of cinema that borrows more than liberally from a few other films. I certainly cannot knock this film on the ambition front. However, where it does falter are in a few ways: first, the leads are very much in the dark about the famous case, which is an issue. We the audience don’t know the information and need it, but it seems unrealistic that most know nothing or care nothing about it. Second, I appreciate the attempted misdirection, however, the decisions about the paths the leads take also somewhat derails the story. Next, there’s a bit of inconsistency in the divulging of information. In certain cases it’s overly-expository and certain people know too much, yet in others certain aspects keep a little mystery. It’s a difficult balancing act, but it’s botched here I feel. Lastly, the ending does offer a resolution but it’s another one of those unsatisfactory shock cuts that puts a damper on the film when it had grown, just a bit in the last third. This film is a perfect example of a translated title that doesn’t quite do the film in question justice. If you were to translate the Brazilian title of Found Memories literally it would be Stories That Only Exist When Remembered. Granted that is more of a mouthful but it gives you a better sense of the kind of film you’re getting I feel, because as I watched the film I realized there was perhaps one of the more subtle Magical Realism tales I’d seen, one with with extreme emphasis on the the realism. Yes, there is a rather mundane, repetitious nature to certain scenes but the equation is skewed as the film progresses by a newcomer. The framing of many shots is wonderfully precise and as the story unfolds you are taken in both by the stories being told by the characters themselves as well as the ones being told about them by the film, which in many cases are parallel but not identical. 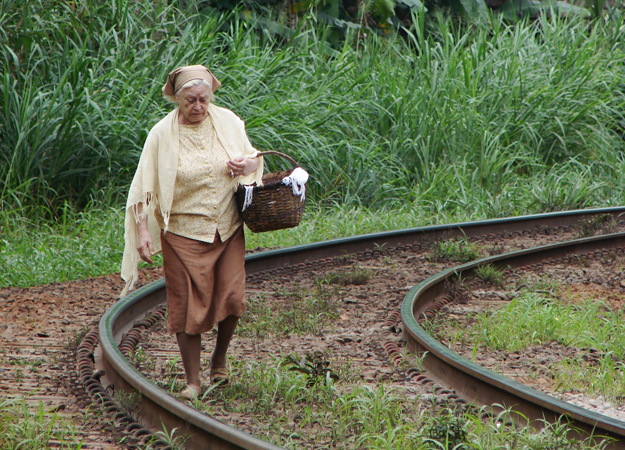 Found Memories is a tremendously subtle, yet at times rapturous, look at small town life in a Brazilian town that should still be able to play anywhere and I highly recommend it.